“Super Learning – Music For Studying” by Stephen Frost of SurgingLife is a soundtrack designed to aid those wishing to learn with greater ease. The Super Learning track offers listeners an opportunity to accelerate learning, enhance retention and improve their entire studying experience in a very holistic way. KOBE, HYOGO, JAPAN, May 30, 2016 /EINPresswire.com/ -- Having music for studying is a well known way to enhance the ability of a person to achieve greater results and there are several key reasons for this. Music is well known to affect various behavioural traits, notably concentration and calmness, things which are linked to brainwave states though those can vary from person to person. Whilst meditation has also been linked to enhancing study and improving access to key brainwave frequencies it can take practice and that is of little help to those needing quick results. 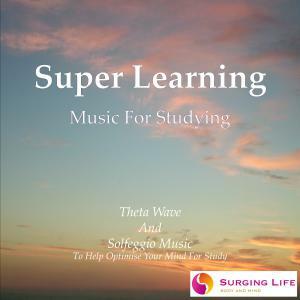 Hence the new release from Stephen Frost of SurgingLife, “Super Learning – Music for Studying” which uses special brainwave entrainment as an aid for listeners to access key states with greater ease. Each brainwave range from Gamma through to Delta has a set of specific associations. Beta is commonly referenced as improving concentration and bringing peak mental activity, it has a draw back though in that it is far from relaxing and can cause a person to become stressed, anxious and tired, things which are incredibly counterproductive when it comes to learning. As a person transitions into Alpha brainwaves they achieve light degree of relaxation and take on a far greater degree of positivity, as well as enhanced ability for creative problem solving. 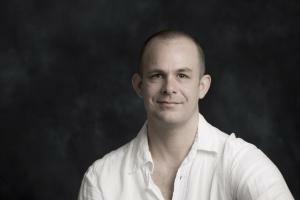 When learning relaxation is a key and highly valuable state to be in. When relaxed information and knowledge flow with greater ease into the mind and the ability to work with and recall that information becomes elevated too. A key point on this is that relaxation and stress relief counter the production of Cortisol which has been demonstrated to inhibit cognitive ability. Theta brainwaves are a level deeper than Alpha, they bring a greater degree of ease and a higher ability to detach from stress whilst also enhancing feelings of wellbeing and inner peace. The mind is calm and highly receptive due to its state of ease, as a result within this 4 – 8 Hertz brainwave frequency range a person can access the “Super Learning” state. Within this state the natural calmness and ease of the mind enable a person to accept information and work with new and existing ideas, thoughts and knowledge in a far less inhibited manner. Within Beta the stress and anxiety that exists leads to second guessing and doubt in what is being done, thus bringing mistakes and decreasing effectiveness. Whereas in Theta the mind is supportive to what you are doing and actively works to expand and develop connections that enable working, studying and learning with greater smoothness. Meditation offers an excellent way for people to access the Theta brainwave range, though it does require a fair amount of practice to get into this state and then carry it through into everyday waking life. Over time as a person becomes ever more practised and adept with meditative practice a huge number of benefits come through for the practitioner across various aspects of their life, indeed even for those new to the practice there are quick gains to be had. Getting into the deeper ranges of brainwave frequencies does take time though. This is one of the reasons for SurgingLife developing this special soundtrack along with other brainwave music. This special piece developed by SurgingLife founder Stephen Frost utilises Isochronic tones and Monaural beats to aid listeners in getting into the 4 – 8 Hertz range with greater ease than usually possible, partially due to the greater effectiveness of these two types of entrainment over Binaural beats in aiding listeners into this deeper state which is usually associated with deep relaxation, meditation and stress relief. In order to balanced off and make the entrainment useful for studying it is augmented with specially selected music that helps the listener to maintain a wakefully useful state within which learning and study become easier. As the mind flows deeper with the embedded tones and beats, the conscious aspect of the mind stays active, thus bringing the listener to a point where they are relaxed, open to receiving information and knowledge, and their mind can flow with it connecting and creating associations with a level of ease. Alongside the main ryhthms, melodies and entrainment that give the top level characteristics there are special Solfeggio frequencies within the soundtrack which have been placed to give even further benefit. These musical frequencies discovered by Benedictine monk, Guido d’Arezzo, were noted by Gregorian monks to have particular effects on the mind and soul of a person. Through the use of them within chants and musical pieces special effects were noted which would aid listeners and the monks themselves to enhance their lives in certain ways. Hence the inclusion of them within the “Super Learning – Music For Studying” soundtrack were they have been included to aid students and anyone listening to access a mental and emotional state optimised for learning as well as knowledge and information retention. The full soundtrack is 60 minutes in length and was developed to that time length in order to create a suitable timing for study sessions. Listeners can of course keep the track on repeat if they wish to study for longer, it should be noted that in taking a short break for 5 minutes or so every hour that users can refresh their mind and function more effectively. Taking time for a 5 or 10 minute meditation on a regular basis whilst studying I highly recommended due to its impact on raising effectiveness and further enhancing mind power. Those interested in using the “Super Learning – Music for Studying” soundtrack developed by SurgingLife founder Stephen Frost can find it within the SurgingLife store located at https://store.surginglife.com along with other music, meditations and resources that can aid them to achieve more from their lives and assist them in attaining joyful living.